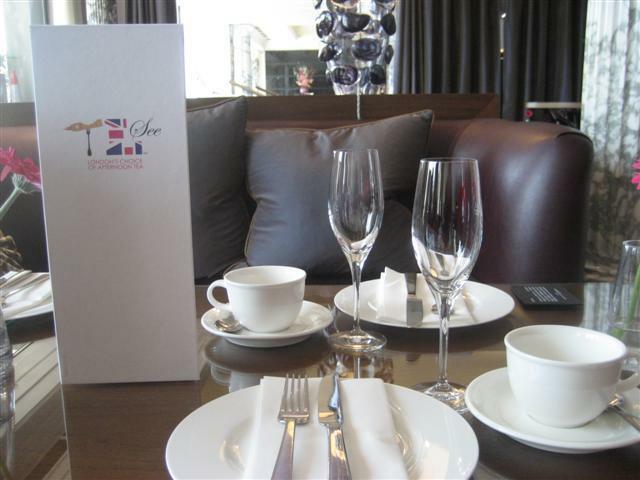 The afternoon tea at the Mauve Lounge is called TLSee (Tea, London, Sightseeing). 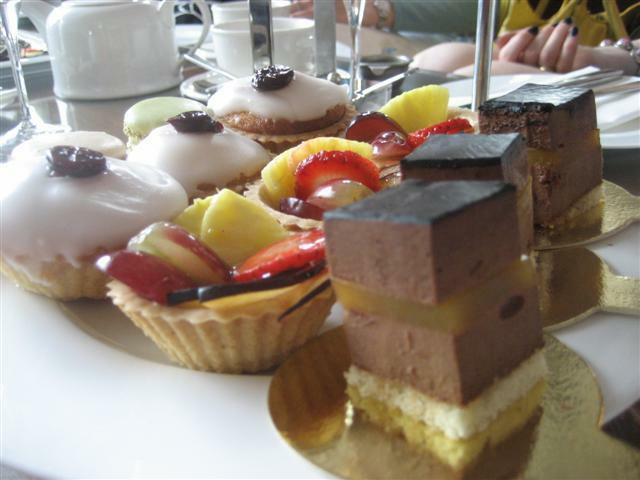 The TLSee is different to other afternoon teas at other venues. 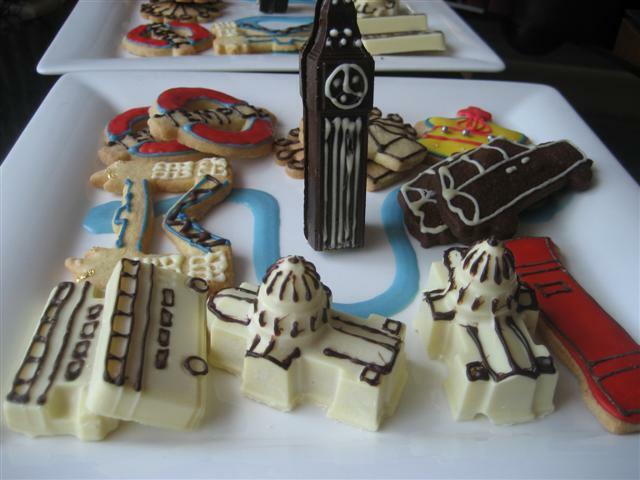 This is due to its plate of impressive novelty cakes and biscuits in the shape of London landmarks. So, to set the scene, there are comfy seats that you can lounge and relax on, lots of light, stylish décor and bright fresh flower displays. To start with, we were brought out tall shots of fresh strawberry smoothie. A great refreshing way to start off the afternoon tea. There are a range of Twinings teas to choose from and also lots of different herbal blends. If you want something a little different, then there are also the pretty blossoming teas. I chose the classic Earl Grey tea. Now, onto the food for the TLSee afternoon tea. 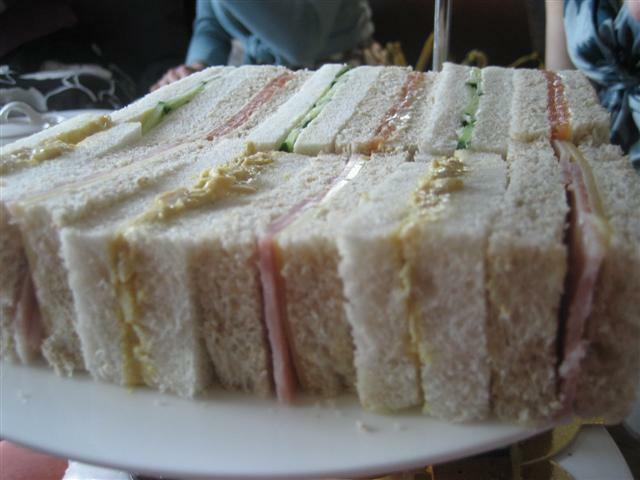 The range of sandwiches that we were served with were Mediterranean vegetables, smoked salmon and cream cheese, egg mayonnaise, coronation chicken, cheese and pickle, cheese and tomato and ham. It was good as the sandwiches could all be vegetarian on request. All the sandwiches were fresh and tasty. My favourite had to be the Mediterranean vegetable ones. 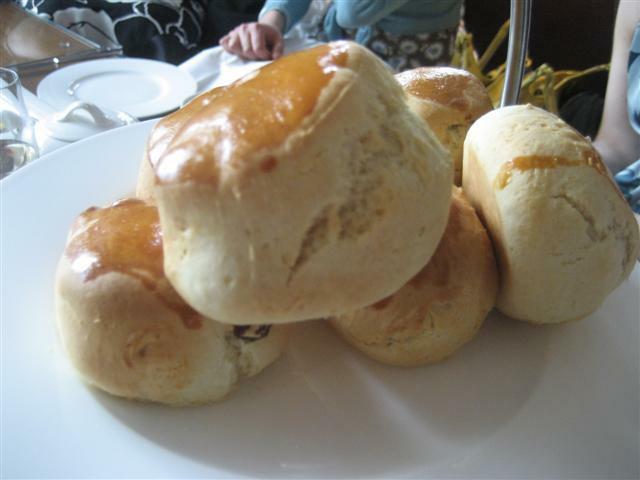 The scones were of a hearty size; they were plain and fruity ones. Just one scone with the traditional clotted cream and strawberry preserve was quite filling. The next stage on the tasty adventure was the delectable cakes. These ranged from mini macaroons, fruit tarts, bakewell tarts to chocolate mousse. The chocolate mousse square was heavenly; a combination of rich chocolate, orange fruit jelly and a thin layer of sponge. The bakewell tart had a lovely dense almondy filling with a thin layer of jam. The pastry was good too. The fruit tart was pleasantly surprising as it wasn’t overly sweet. The combination of the different fruit slices went well with the creamy filling. The plate of the London landmark cakes was very pleasing to the eye and even more to the palate. There were different shortbread biscuits in the shapes of Tower Bridge, the London Eye, Temple underground sign, the Crown jewels, black cabs and ER postbox. The 3D cakes of Big Ben and St Paul’s Cathedral were very impressive. These cakes were based on white and dark chocolate and had fillings of marzipan and raspberry ganache. The Routemaster bus cakes were also very rich as they were white chocolate filled with hazelnut praline. All very yummy and indulgent. 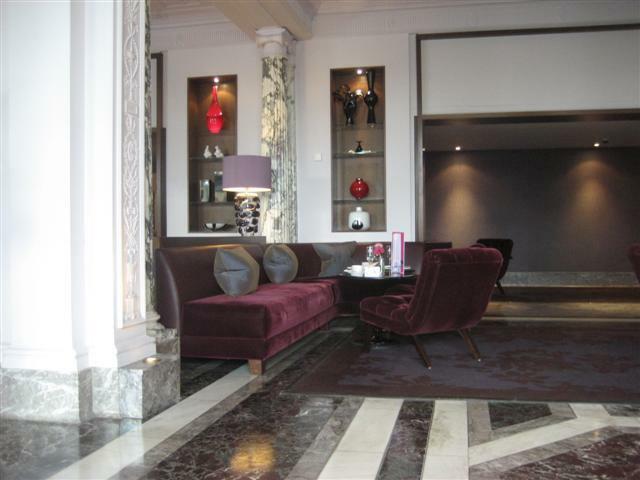 The staff at the Mauve Lounge were really friendly and attentive, but not at all overpowering. They were helpful with all of our questions and various dietary requests. They kept clearing up the table once we’d finished with certain items, in order to keep the tables uncluttered and tidy. It’s great that the Mauve Lounge is prepared to pack the leftover cakes to take home. They have special little TLSee boxes to pack the cakes in. I would highly recommend the TLSee afternoon tea at the Mauve Lounge. The setting is not at all stuffy or pretentious and makes for a wonderful treat for a special occasion or just for a treat.